Are You Getting the Insurance Discounts You’re Entitled To? You can get discounts on your insurance by doing things such as adding snow tires to your vehicle, installing a security system in your home, or changing your driving habits. But discounts on insurance don’t end there. There are dozens of discounts for insurance that you may be entitled to which you aren’t even aware of – but your insurance broker is. One of the most common ways to lower your home insurance cost is through renovations and improvements, but there are a number of other discounts available to you that you may not even be aware of. North Bay area homeowners may be entitled to a claims-free discount for homeowners who have been claims-free for a specific amount of years set by your insurance provider. In addition to lowering your auto insurance by installing snow tires once a year or making changes to your driving schedule, there are a number of discounts that you and your vehicle may be eligible for. Some of these common auto discounts include conviction-free discounts for drivers who have maintained a clean driving record (free of speeding tickets – parking tickets don’t count) for an amount of time set by your provider, as well as winter tire discounts for vehicles equipped with winter tires displaying official symbols. There are some discounts that can apply to both home and auto insurance. These discounts are available to those who carry their home and auto insurances with the same insurance provider. If you keep your policy with the same provider rather than switching, you may be entitled to a renewal discount. These are often referred to as “loyalty” discounts. These discounts are available to people who are members of the North Bay Chamber of Commerce, are employed by a business who is, or are members of a number of other unions or organizations – including Nipissing University and the North Bay Regional Health Centre. We believe that all of our customers deserve to be able to save on insurance wherever possible. Our insurance brokers are well-versed in a variety of available discounts from a number of providers. 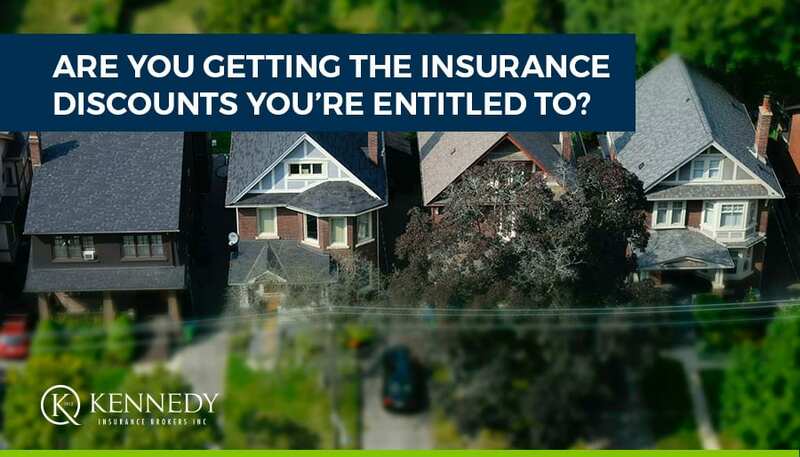 The team at Kennedy Insurance is dedicated to ensuring that you get the discounts you are eligible for each year, and will actively shop around to find the most reasonable policy for your needs. If Kennedy Insurance is already your insurance broker, schedule a call with one of our insurance experts to find out what insurance discounts you may be eligible for. For more information about getting the insurance discounts you deserve and the many services offered by the friendly experts at Kennedy Insurance, contact us today.